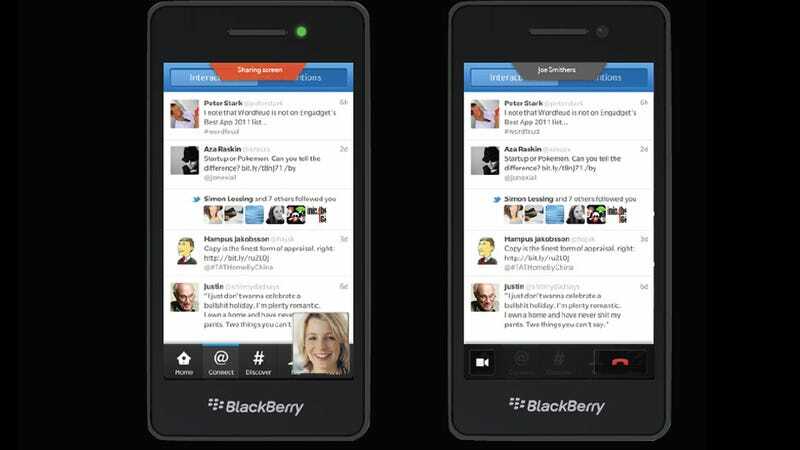 Now that RIM has shown a preview of BlackBerry 10, more rumors are surfacing about the updated OS. The latest, from CrackBerry, claims that the platform will have a new screen sharing feature, which means you could show someone what's on your phone's display during a video call or while you're messaging. It's something you can already do on the desktop, as with Skype, for example, and it would be a very useful addition for mobile. Images of the OS also show that it will finally get a native Twitter app, something it desperately needs. There are a few other tidbits that popped up on the forum, one being that the plug has been pulled on a 10-inch PlayBook. RIM has decided to focus its efforts on the existing 7-inch model. Additionally, a 4G version of the tablet should be released next month, as possibly well as updated Wi-Fi models, in order to support BBM.